2014 ends and 2015 begins on Dad’s Taxi. Follow me as I travel through the unique perspective of Dad and his taxi of life. Hello friends, this is going to be my last blog post of 2014. I was not going to write today, but, as I sit here drinking my Chai, I cannot help but be reflective. I’m also inspired by other bloggers on WordPress that I follow for their unique perspective. Thanks to the bloggers for inspiring me to continue on this journey into the blogging sphere.. It seemed like only yesterday that it was the start of 2014 which can best be categorized as the “never ending winter‘. For us in Central New Jersey, the winter did not end till mid April when we finally saw our lawns after the brutal cold and multiple snow storms. 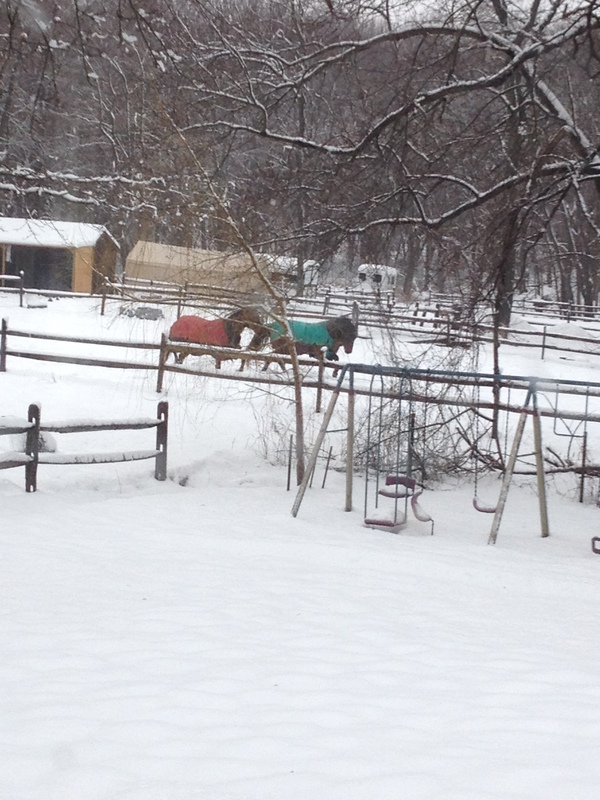 I got the best view of this from my back window where I saw the horses in my neighbor’s yard.. That image was surreal. Two horses playing in the snow. For me that was a zen-like moment during a year of turmoil. 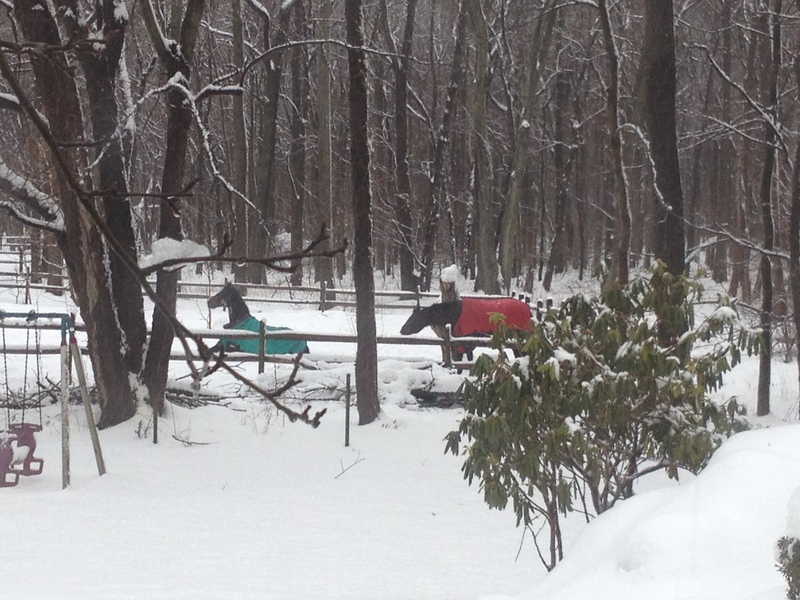 Horses chiling in the snows of 2014 in Leonardo, NJ. Even though the year flew by in blink of an eye, for me, it could not have ended any sooner. My life took a left turn as opposed to the normal right turns I usually take (which I call my status quo). I’m almost certain that 2015 will be a more promising year for me. Over the past two years, as Dad’s Taxi, I’ve dealt with many changes in my life. I’ve dealt with dysfunction (much of which I manage to create), and the twists and turns of the road as a maneuver my taxi of life. Most of the events in 2014 have tested my resolve and my ability to maintain some sort of equilibrium on my thoughts. At times, I’ve succeeded, other times, I could have done better. I lost my father to in January 2013. He was in assisted living after Super Storm Sandy. He had Dementia. May his soul continue to rest in peace. I had multiple residences in 2014 because of personal issues at home.. You can figure that one out for yourself.. No need for me to go into it here. “It is what it is” became my mantra and it helped me to transition to “next issue, move on“. 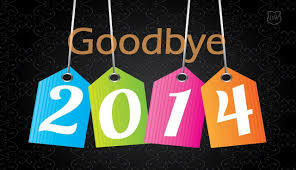 I finally have found a new beginning and I face 2015 with enthusiasm for “new beginnings”. As I sit here looking out of my window and await the new year, I am truly ready to welcome in to my life 2015 which is about 24 hours from now. In 2015, I will work on myself more and become who I want to be. As I transition from being Dad’s Taxi, to “My Taxi”, I can consider myself to be a “work in progress“, and what the end-game is “to be determined“. The end of 2014 has presented me with opportunities for change which I have grabbed with gusto, at the same time, maintaining my unique perspective on life. I’ll continue to post with a stream of consciousness.. No matter how annoying that can get. That’s what make me unique I guess. For 2015, I have created a personal bucket list of goals (Topping the list is to got Wimbledon). In the blogs coming, everyone will eventually find out what additional goals I’ve set for myself. For now, my journey to the future is rife with hope and self development. So keep checking back to see it all unfold in my own unique way of expression. Trust me, it’ll always be amusing and at times entertaining. Let me close this final post of 2014, by saying I wish all my friends, family and followers: A safe, happy, healthy, positive, optimistic and great year ahead, and may it be everything you wish for it to be. You just need to work hard at it and never give up. One of my goals for 2015 is to get more views on Dad’s Taxi and engage you my reader/follower. I haven’t really been successful with that, but hey let’s see how 2015 goes.. . Of course for the spammers that love to leave their comments, you will continue to be banned. I am excited for another year filled with blogging as Dad’s Taxi. Who knows how 2015 will play out, but I plan on having some fun! What are your plans for 2015? I have not experienced this kind of winter in NJ for years.. With El Nino where each winter was mild for the past few years, this year is wetter and colder than I’ve ever seen. The winter of 2014 in Central NJ has been one storm after another dumping snow and ice and when its not snowing, it’s frigid. I noticed that this year the weather channel named each storm. Today we are in the middle of Storm Pax. Not sure what that means, but I guess we are on the letter “P” with storms. 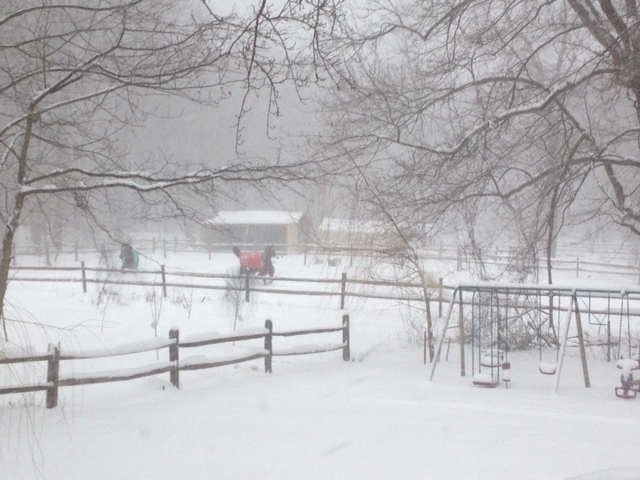 I don’t really mind the snow, as long as I have my monster snow thrower to clear the snow, but gosh enough is enough. The kids in NJ are really having fun, as they have now had 4 or 5 snow days.. Of course I look forward to the 4:30 AM call from the Middletown, NJ Board of education to tell me that there is no school today due to ANOTHER Snow Storm! I have to admit that this town is so wonderful with communications by telephone blasts, email’s and text messages. This township is also amazing with snow plowing.. Even before the snow finishes, the main roads are cleared! I was just talking to my daughter and she tells me that dad’s taxi is slacking off and not posting enough. Well, things are going on in Dad’s life that really cannot be shared here (for now)…. Whenever it snows, I sit in my semi “man cave” in the back of my house and work.. Yep that’s me, sitting and watching my neighbor’s horses frolicking in the back. This is how boring my life has become. What dad really needs is a vacation.. A vacation where he can just let loose and chill. Now the question arises, is where do I go? Since my daughter told me I need to write about more interesting things, I’m going to have to reflect and write about interesting things. For now, I’m going to watch as much Curling as possible at the Olympics in Sochi. I’ve gotten obsessed at watching the men and women slide the rock down and sweep to get points. I still don’t get the scoring system, but the intensity is worth the wait.. BTW, I found out that Curling has become the latest “must see” sport in the schools. One Child even had her phone confiscated because she was watching Curling in math class! I got a chuckle out of that. At least it’ll be an interesting spring (when it arrives in the next 35 days!). Hey, pitchers and catchers report for Spring Training next week, so as a NY Mets fan, the annual rite of hope for my metsies starts anew. Dad’s life is changing and he’s headed for a hard reset of his life. More on this later in postings when the time is right. For now, Dad has to just get over this endless winter! Plano on my Mind.. ramblings of my 2013 visit to Plano..
Last week, I was in Plano for my annual visit. This is the visit where I spend a few days with my brother and his family and spend a few days with my closes 1700 fellow employees from the employee resource groups from the company I work for. Yet we all know that this post is about my Plano, Texas visit.. The term I want to introduce to my readers is “Tiger Moms”. These are mothers that become so involved with their kids athletic events that they think it’s normal to be total jerks instead of just encouraging their kids to play fair and do the best they can. I went to see my nephew play at one of his tennis team matches in West Plano. Let me tell you this is serious High School tennis.. East Plano Vs. West Plano at it’s best. Yet of course I digress. Two young ladies were playing and it was a tough match. After the match the winner walked over to where I was sitting. The winner was limping and she apparently was playing injured. Tiger Mom “A” (The Loser’s mom) says to the young lady (winner), “you shouldn’t have played”. The Dad casually says “She won (his daughter) anyway”. Well this set off a chain of events that led to escalation to the loser’s coach for the innocent response from the Dad, as “bad sportsmanship”, etc..
Of course the other tiger mom’s jumped in and were saying nasty remarks over this whole incident.. I was so amused by this whole one-act play at a tennis match. These women were living their own lives through their kids with their overbearing opinions and attitudes. I actually thought the whole exchange was pretty pathetically hilarious! Parents should encourage their kids to show sportsmanship, instead of being role models, they act like they are in high school themselves. Remember these are upper middle class moms whose income exceeds 6 figures at a minimum. Beyond that my Plano visit in a nutshell. Oh I forgot about my sinus infection and my visit to the local “Minute Clinic” at the local CVS.., What a concept. You make a quick appointment, get evaluated by a physician’s assistant, and get a script all in an hour. No doctor needed. All insurance accepted. I also saw some amazing pre-construction new houses that are just state of the art in McKinney, Texas. 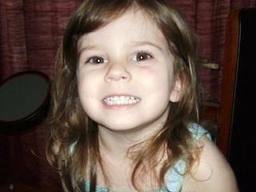 Keep in mind, McKinney was voted the best place to live in America in 2012. Overall, McKinney is a really nice small town which feels like a place where you can truly call home! Yes, this is coming from a long-term NJ, homey. Every time I visit Plano, I love it more and more.. If all the stars align.. this may become a reality sooner than later..
Where else can you find random ramblings like this which don’t seem to have any logical stream.. Dad’s Taxi of course! Well it’s the beginning of Summer 2013 and the heat is on. I’ve been so busy with work and other “stuff” (that I cannot discuss here), my blogging has been limited. In between the rain that we are getting in Middletown, NJ over the past few weeks, I’ve found time to play lots of Tennis. I have to admit it is really great that today’s children get this sense of accomplishment and truly deserve to be recognized for their achievements. So many of today’s kids maintain such high grades through out their education its remakable. Even with all the distractions of Social Media (Facebook, Text Messaging, Instagram, Twitter, and so much more I just can’t even summarize here), they achieve a focused drive to succeed. At my daughter’s graduation, out of a class of 200, 27 kids got the President’s award for academic achievement for their 3 years in Middle School (6 – 7 – 8). That means they maintained a B+ average through their 3 years! Of course you can’t have a graduation without a celebration! We had a mini-celebration with BFF’s and their parents at a local Houlihan! I tell you, being jaded the way I normally am, seeing the joy on the faces of the parents and the graduates, it bought made me feel really wonderful. I guess as I age, my jaded outlook is mellowing as is my Taxi of Life..
As I sit here and ponder, I see our future bright with these kids that will experience so much change with both technology and with opportunity. Many will struggle, succeed and some may fail. The one thing that the stuck in my mind and I hope many of the kids that were sitting in the sweltering gymnasium realize is that their next step is “a clean slate”. A slate that is so important in their life that every grade they get will carry them into College and their future. 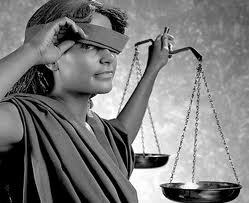 If you are a parent, what you see as challanges that our kids will face tomorrow as they mature into adulthood? I’d like to get your feedback! Let’s see what things happen today..
An Exceptional site showing off the Year of the dragon in Pictures! I came across a blog site which had some excellent pics from the this years Chinese New Year celebrations in Austin, Texas. 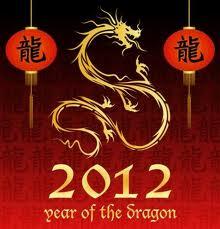 This is the “The Year of the Dragon”! The Candid pictures were really of excellent quality and I wanted to have a way to see them over and over again! Derek Jeter’s accomplishment of 3,000 hits deserve accolades from all, even if you are a Mets fan! As everyone knows I’m not a Yankee Fan, but an accomplishment like 3000 hits from a classy guy like Derek Jeter is worth writing about. Now I really don’t care about all the fanfare that surrounded this accomplishment that was in the media for weeks before the actual event which occured today. Not only did Jeter get his 3000th hit today. he did it in style… He went 5 for 5! In this day of when you have athletes that ruin their reputations with Steroids, drugs and other questionable behavior, the continued class that Jeter shows as a Yankee is truly admirable. A few days ago, I was listening to the “talking heads” on sports radio and they were discussing whether Jeter deserves to be in the Hall of Fame with his stats.. What a stupid conversation that was. Anyone who play Jeter, is a captain, a role model, and performs day in and day out in my mind, is a shoo in for the Hall of Fame! Congratulations Derek, you are one of 28 players that are now in the 3000 hit club. For a Met fan to say this, it’s truly a tribute to your efforts as the Yankee captain. I may not watch many games (only when I go their with my resident Yankee fan in my house! ), but hearing of your accomplishment was wonderful to hear! 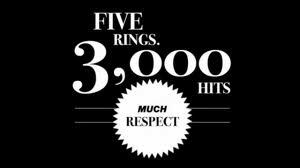 Not only does Jeter have have 3000 hits, he have 5 World Series Rings! That’s more than I can say for anyone on the Mets today or tomorrow! I wonder how many of the other elite member of the 3000 hit club have this? Now he can start on his next goal of 3500 or even 4000 as he still has about 2 1/2 years left on his contract. As I sit here and watch my Metsies, I think is Reyes ever going to match this goal? Probably not, with his inclination to have leg problems. Also, he will probably get this goal but not as a Met! Dad’s Taxi is joining the community of The DailyPost on WordPress. If you already read my blog, I hope you’ll encourage me with comments and likes. If you like/dislike or agree/disagree with anything I say, do leave me a comment. I try to respond to every comment. All comments are moderated!